“Through the continuing efforts of TL Golf Services, our company has expanded dramatically into the 'Wonderful World of Golf'. Event management and promotion services for any golf related event. 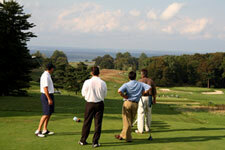 TL Golf Services knows golf and how to organize and run all aspects of golf events. From planning to marketing to operations and follow up let us take the burden of you and your employees and work with you to improve the results from previous events. Don't know where to start in working with the media to get your story our or promote your golf related organization? Let us help. TL Golf Services has represented the undisputed leaders in the three golf media categories in the region – the Inside Golf television show, the GolfTalk Live radio show and GolfStyles magazine. All three entities have won national awards for excellence in their particular fields. Inside Golf is in its 13th year on the air on Comcast SportsNet in Philadelphia and has been recognized as the leading golf and lifestyle television show in the Mid-Atlantic region. The magazine-style television show is hosted by Harry Donahue and airs four times a week, plus is available any time through Comcast On Demand. GolfTalk Live will begin its fifth year on the air in March, on WNTP 990-AM in Philadelphia. The show, hosted by Tony Leodora, also can be heard anywhere and any time on www.golftalklive.net. It was voted the No. 1 Golf Radio Show in America by the International Network of Golf in 2008. GolfStyles has been published in Philadelphia for five years and in Washington for 15 years. Known for its unique views and edgy style, the magazine presents stories, essays and opinion columns from some of the best golf writers in the country. Bring our experience to your next golf tournament to increase your exposure and raise more money for your cause or club. TL Golf Services has promoted numerous tournaments with great success and has the expertise and experience to bring in more golfers and more money to your event. 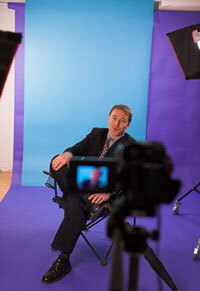 There are a variety of strategies and outlets we can help you with that are tailored to your specific needs. 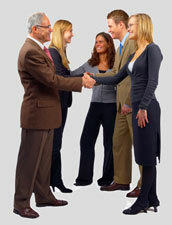 We would be glad to discuss how we can help you better communicate the details and benefits of your golf tournament. Let a golf expert and skilled speaker represent your club, company, product or service at a Golf or Trade show and see your sales soar. TL Golf Services regulaly represents a variety of products, services and courses in the region and across the country to communicate the benefits you offer to your prospects and clients. Having trouble getting results or getting noticed? TL Golf Services can provide both writing and media placement services to get you noticed by the media and soon to be clients. With over decades of sports writing experience and numerous contacts in the golf industry we are poised to assist you in growing your golf club, course, organization or company. 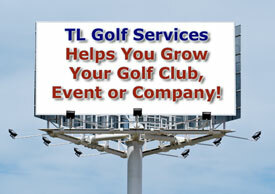 TL Golf Services. All Rights Reserved.